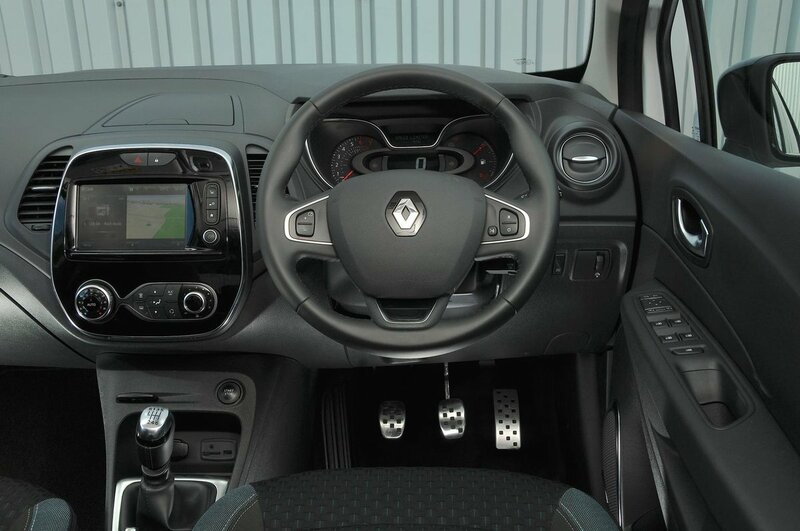 Renault Captur Interior, Sat Nav, Dashboard | What Car? You sit high up in the Captur, and the seat can be ratcheted even higher if you want. The steering wheel also adjusts for rake and reach, and the rotary-controlled backrest can be set to any angle, so most drivers will be able to find a comfortable position. The seat is a bit flat and short of lower-back support, however, so may give you backache on longer journeys. Some drivers will find the high-set brake pedal irritating, too. Most of the controls are within easy reach and are simple enough to get the hang of. It’s not often that the windscreen pillars in the Captur obscure your view, so you can generally see clearly around roundabouts and at junctions. However, the view out of the back is a bit restricted by the fairly narrow rear window, and there’s a substantial blindspot over your shoulder that can hide cars when you’re overtaking on the motorway. Rear parking sensors are optional on all but Dynamique S Nav, Signature S Nav and Signature X Nav trims (which get them as standard), and front parking sensors are optional across the range. A rear-view camera is fitted to top-spec versions, and is available as a cost option on other Capturs bar the entry-level trim. Entry-level Expression+ trim gets a CD and radio unit with DAB radio, Bluetooth, an aux-in socket and a USB connection that allows you to play and control your music through the car’s stereo system. 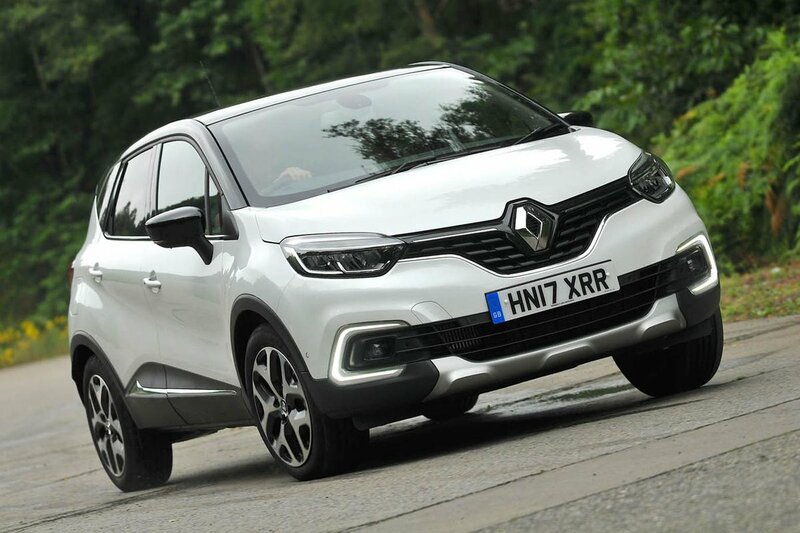 Renault’s clever R&Go system also comes as standard at this level, allowing you to transform your smartphone into an infotainment controller with sat-nav when installed in its universal cradle through a free app. Just remember that, while an iPhone Plus or devices with a similar screen size might be usable, smaller phones will be tricky to operate on the move. However, it’s worth paying the extra to upgrade to Dynamique Nav trim, which adds an upgraded stereo and a 7in colour touchscreen with UK sat-nav (European mapping is an optional extra). It’s a decent enough system, with most icons well labelled and easy to hit precisely, even when the car is moving. The main menus are logically laid out, too, although the layers of advanced settings can be tricky to understand and some icons are a little small. Rival systems such as that in the Crossland X have sharper graphics. Signature X Nav and Signature S Nav trims add Renault’s R-Link system, which offers online connectivity (dependent on connection of an internet phone), voice control that allows you to call out phone contacts, addresses and various other commands, as well as enhanced sat-nav software with live traffic updates. It even reads out your text messages if you want it to, while a ‘3D’ sound system allows you to shift the focus of the sound to different areas of the cabin. Android Auto also comes as standard with the R-Link system, allowing you to access smartphone applications such as navigation, music and messages. Unfortunately for iPhone users, Apple CarPlay is not available. Range-topping Signature S Nav adds a TomTom Live sat-nav system with a 36 months subscription to Live services which includes real-time traffic, fuel prices, safety alerts and weather. 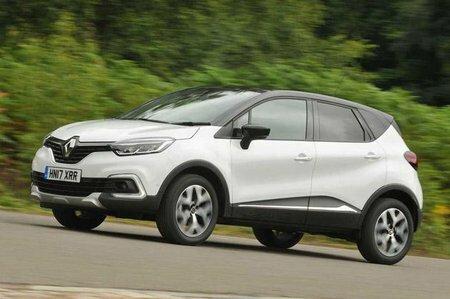 A 2017 facelift really improved the Captur’s interior. An increase in the number of soft-touch plastics on the dashboard and doors means it looks and feels classier than the majority of rivals. The areas you don’t touch regularly are hard and scratchy, but that’s fairly normal for this class of cars. Elements such as the flimsy hinges on the dashboard-top storage cubby lid and sharp-edged plastics around the seat adjustment controls are less impressive. Still, all models get a gloss surround for the centre section of the dashboard, which looks quite classy, plus well-damped switches and a variety of coloured trims and finishes that brighten up the cabin.